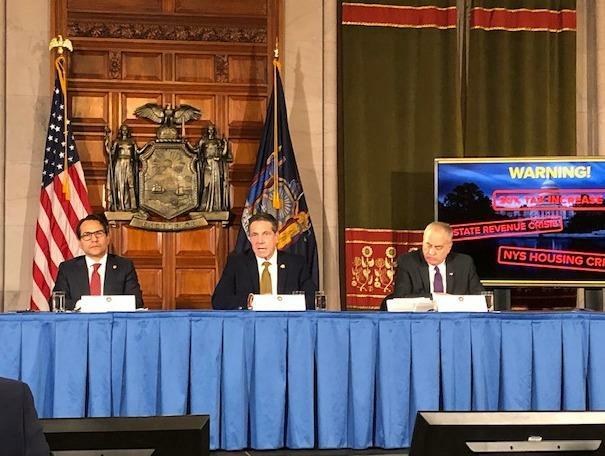 Governor Andrew Cuomo sends a distress signal about the state's finances, WXXI's Karen DeWitt reports. Gov. Andrew Cuomo, center, announces on Monday that the state has a $2.3 billion deficit. Budget director Robert Mujica is at left and State Comptroller Tom DiNapoli is at right.